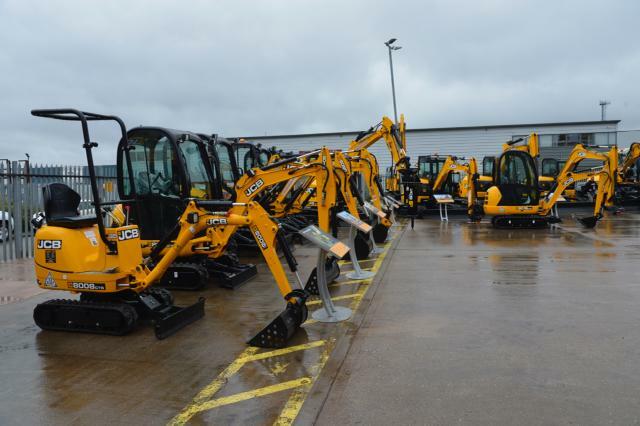 After the success of our last open day at our Mini Centre of Excellence (Stoke depot), we hosted our second open day this year at our West Midlands depot on Saturday 10th September from 10am until 5pm. 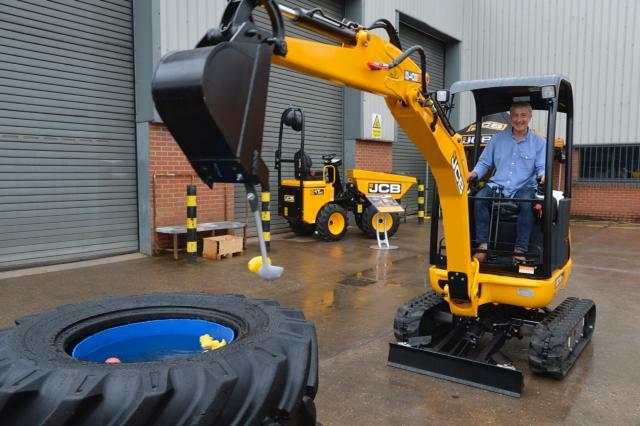 Despite the rain, customers and their families attended our open day to view a range of our mini excavators and the new JCB Hydradig as well as enjoy our Backhoe bouncy castle and take part in competitions throughout the day. We displayed the following mini excavators: 8008, 8014, 8018, 8026, 8030, 51R, 65R, 85Z, 100C and HTD5 Dumpster. Our salesmen: Mark Robinson, Glyn Male and Andy Groves as well as Ben Sellers from JCB Finance were on hand to give customers information about our machines, our current offers on: Diesel Up & Go and 0% Interest Hire Purchase over 3 years on selected JCB Micro, Mini and Midi Excavators and advise them with their purchases. Our hook a duck competition tested customers’ hand eye coordination skills. Ducks were placed in a water container in the middle of two tyres. 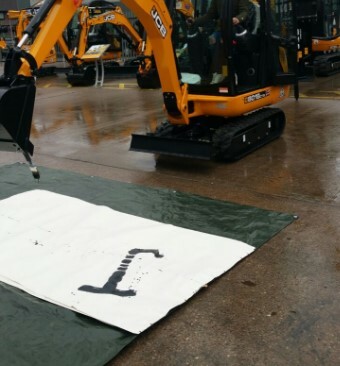 A ladel was connected to the bucket on our 8018 CTS Mini Excavator and customers had to operate the 8018 and hook a duck with the ladel. The ducks had letters on underneath them: S (small prize) pen + keyring, M (Medium sized prize) – JCB t-shirt and L (large prize) was a small machine model and hoodies. There were multiple winners throughout the day. 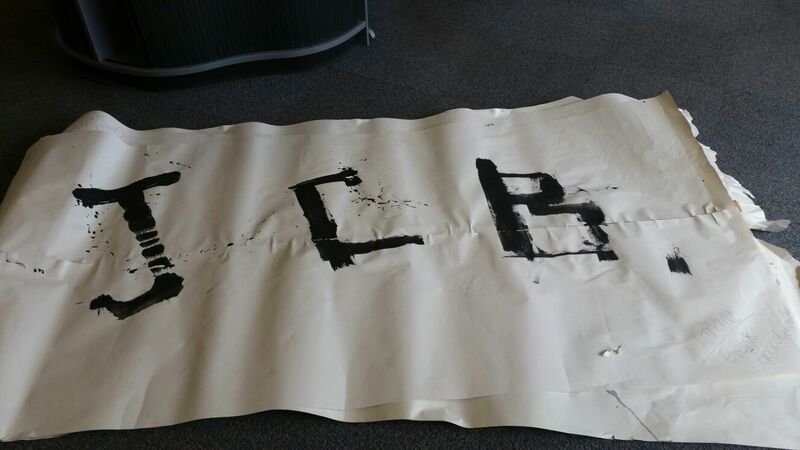 Another competition was our JCB painting competition. 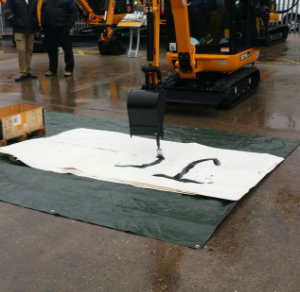 A paint brush was attached to a bucket and customers operated an 8018 CTS Mini Excavator in order to dip the paint brush into the paint pot and paint the word ‘JCB’ on paper. 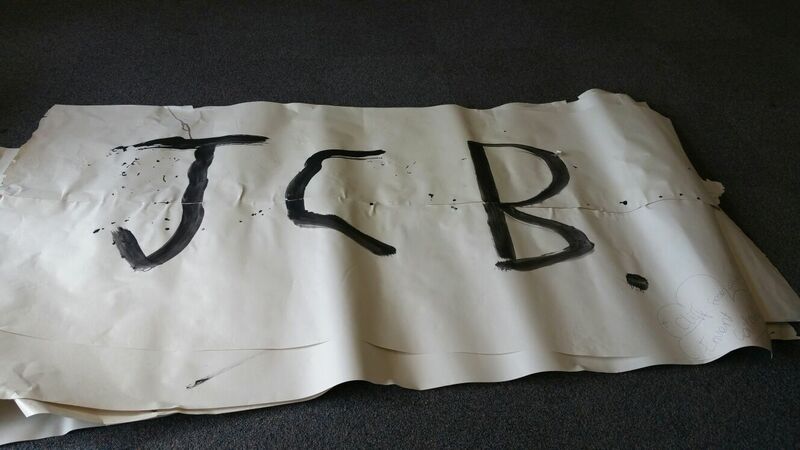 The winners of the best paintings won JCB hoodies. 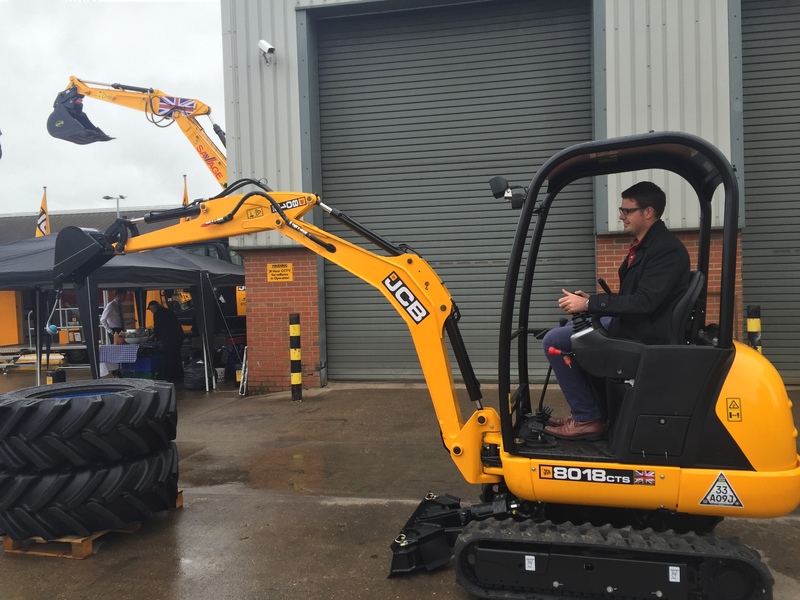 The competitions enabled customers to try out our mini excavators and discover that the new hydraulic valve block gave a smooth, precise and unbeatable ease of operation. Classic Catering provided the delicious food which consisted of: beef burgers, chicken burgers, sausages, shish kebabs, potato salad, pasta, coleslaw and a choice of sauces. 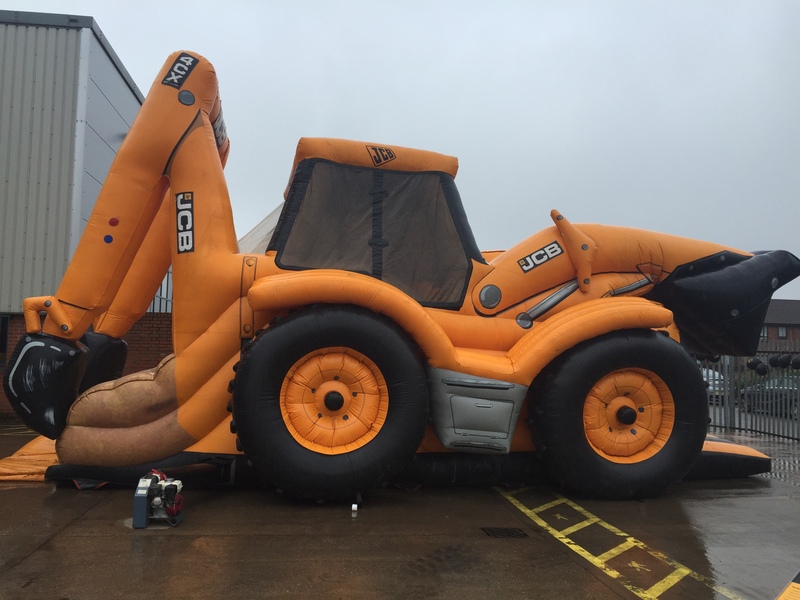 We filled up one of the buckets with cans of beer and soft drinks in ice which customers could help themselves to and goodie bags were handed out to customers which had some Gunn JCB merchandise in. We look forward to seeing everyone again at our next open day!